It was the 5th inning when my 8 year-old son’s bedtime rolled around, but because Clay Buchholz had a no-hitter going, I told him he could stay up until the O’s got their first hit. I knew he’d start to fall asleep on the couch by the 7th inning anyway. And I was right. It was hilarious watching him struggle to keep his eyes open. Then in the 8th, realizing history could be made and wanting some company for a possible celebration, I actually took measures to help my son stay awake. Turned on all the lights, sat him up straight, got him some cold water. He drifted off between the 8th and 9th, but when I yelped after young Clay K’d Roberts to begin the 9th, he was up for good, eyes bloodshot but adrenaline flowing, pacing in front of the TV. But the kid could not fall asleep. In the dark, as I sat beside his bed, he kept commenting on the unlikely feat we had just seen. “Daddy, it’s amazing, I mean, Roger Clemens has never thrown a no-hitter, and Buchholz did it in his SECOND START OF HIS CAREER!” Then he put down his head, and three minutes later: “I mean, it’s not just luck when you throw a no-hitter, you actually have to be GOOD to do that, Daddy.” Then he lay there, eyes closed, not moving for another four minutes, and jumped up: “And he struck out nine guys, Daddy, nine guys. I mean, when you throw a no-hitter at age 23, it means you’re definitely GOING TO BE to be a great pitcher. In fact, it means you’re going to be great AND YOU ALREADY ARE GREAT.” Finally, with visions of #61 (a mere 15 years old than my boy) achieving the seemingly impossible dancing in his head, my son fell asleep. Perhaps my son’s enthrallment with Buchholz’s no-hitter is genetic, for I have always been fascinated by no-hitters and perfect games. Obsessed might be a better word for it. Before I had kids (and so was free every summer night), I had a rule that I would never turn down an offer of tickets to a Red Sox game, because what if I were to miss a no-hitter? And ever since I was a little boy, a dream has been to throw a no-hitter. I did come close…twice. In fifth grade, I threw a one-hitter at Soule Playground in Brookline (6 innings). I remember the one hit was a hard ground ball into right field off the bat of my best friend, John Sax, who legged out a double. (Why do I still remember this? Because it’s the closest I ever came.) I pitched another one-hitter on July 22, 1994, a few weeks shy of my 26th birthday, at Jefferson Park in Jamaica Plain vs. McKay Club (7 innings). The one hit (with two outs in the 5th inning) remains a painfully vivid memory. I had been successful all night with just my fastball and curveball, but I decided to try to surprise the right-handed batter with a slow sidearm slurve. He was fooled by the speed, but slowed down his swing just enough to hit a soft liner about a foot over George Leung’s leaping attempt at shortstop. Base hit. Dream deferred. Watching Buchholz in his interview with Tina Cervasio, I was struck by the notion that this kid had achieved his (and my) dream, yet a part of him wasn’t really ready to achieve it yet — his self-image hadn’t yet caught up with his incredible talent and the reality of his accomplishment. Heck, just being in the Majors hadn’t sunk in yet, and he went out and did something many Hall of Famers have never done. His performance was years ahead of his own (and perhaps everyone else’s) timetable for his success. No wonder, then, that when Cervasio asked him how he felt, he said, “It’s all a blur right now,” and when she asked him how he had stayed within himself, he said, “I don’t really have an answer for that one either.” Good answers. What else could he say? He was more stunned than any of us were. 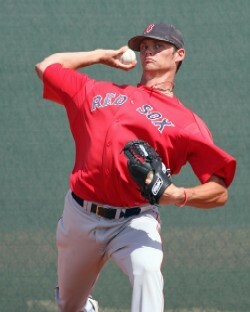 I really wish I’d been at Fenway to see Buchholz’s no-hitter. I’ve never seen a no-hitter or perfect game in person. (Saw Wake come close once, though.) But seeing it on TV with my fanatical son was a wonderful thing. And you know, most of our most priceless Fenway moments take place right in our own living rooms. 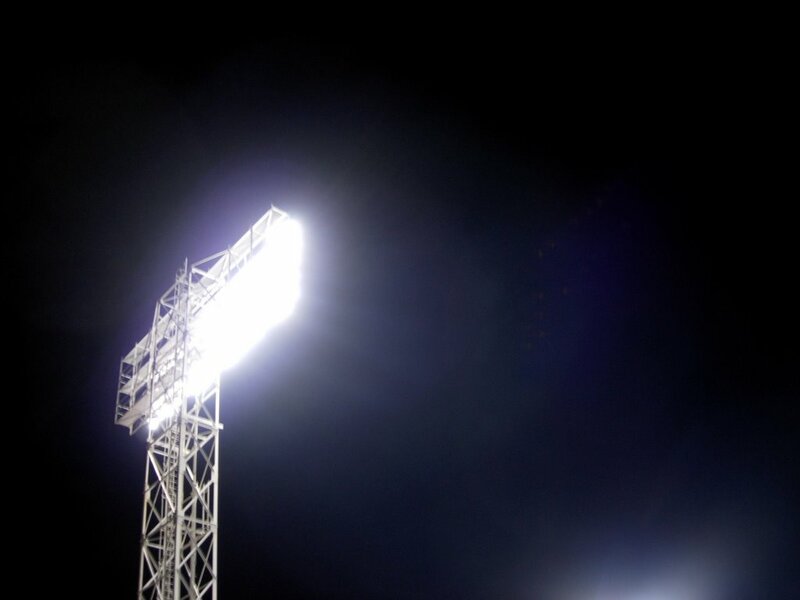 Even though we’re not AT Fenway, Fenway possesses us through the beams of our TVs and we’re suddenly there, side by side with 35,651 screaming fans, one gigantic Nation united in elation, inspiration, and wonder.